a mortgage loan is scheduled to be paid down through periodic payments. limited assistance to its renters. inclusive of vacancy and seasonality. more time to find permanent financing or are repositioning a commercial property. systems, such as roofs, etc. price). Not the rate of return. secured by a pool of mortgage loans. used to pay off the construction loan. CREDIT TENANT – a tenant, who has obtained a debt rating by S&P or Moody’s of “BBB-” or better. investors must place on the specific expertise of the professionals involved in the transaction. mortgages, leases, easements, or restrictions. storage tanks on a property. seller to handle the paperwork at the settlement. real estate, such as the precise amount of indebtedness remaining. knowledge of all pertinent facts, with neither being under any compulsion to buy or sell. which the arrears will be paid at a future date. (i.e. room service, concierge services, and restaurant). between the gross rental income and sales price. the entity ceases to exist. 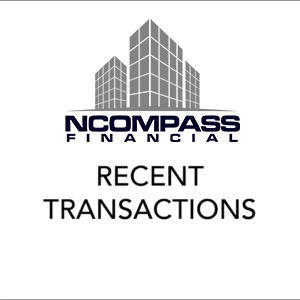 lender that assigns lease payments directly to the lender. in monthly increments out to 1 year. institution, property type, geographic location, property size, etc. too low to require elevator. lien is junior, or secondary, to another mortgage or trust deed. enough to require stairs, but too low to require an elevator. apartments on the next ten floors, and a restaurant on the top floor. etc., but before mortgage payments, tenant improvements and leasing commissions. insurance in addition to the rent. received in the future to arrive at the present value of those future earnings. additional review and/or mitigation efforts that should be undertaken. what is expected to occur. and the amount of rent being paid. amount of time or for the life of the lease. space that may be rented to tenants. The area upon which rental payments are based. citizens and/or physically disabled persons. commercial property is stable, consistent and reliable. new tenants to new or vacated space which may include new improvements or remodeling. must pay for amounts above the TI allowance desired by the tenant. appraisal reports, environmental reports or structural engineering reports. guaranteeing your, and your lender’s, financial interest in the property. UNANCHORED – a tenant in a shopping center, which doesn’t have an anchored tenant. cash flow, credit, and/or other factors. allowance, which is deducted from potential gross income to derive effective gross income. purchase price, redemption value, and the time remaining until maturity. refinancing unattractive and uneconomical to borrowers.